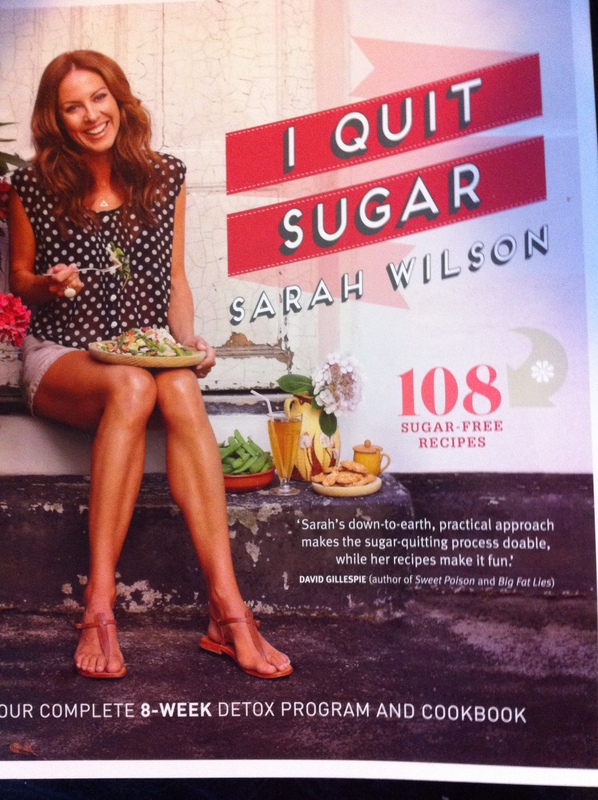 So here I am at Week 2 of Sarah Wilson’s I Quit Sugar program. I found Week 1 to be quite tough in some ways. I’m sure I was having withdrawals from sugar, which only goes to show how much I need to get this white poison out of my system. Today is Day 4 of Week 2, and I am feeling much better, even though I do really miss my daily sugar fix or two….or three. For the first few weeks there is no fruit in the diet at all, and this is what I’m finding difficult. If I could have fruit as a snack or dessert, life without sugar would be much easier to take. I know it seems extreme to also exclude all fruit from the diet, but it’s only for a short time, until the body re-sets itself without sugar, then we will start adding small amounts back in. The Mantra for week 2 is: REPLACE SUGAR WITH FAT. This is our task for the week, and it is this very thing that I struggle with. After living my whole adult life scouring for low fat products, the very thought of going with full fat is playing with my head. Sarah says to eat plenty of fat and protein, to cut the sugar cravings. Being vegetarian, I need to work hard to get extra protein into my diet. But I’ve added more eggs, beans, nuts & chickpeas. I’m feeling really guilty about eating high fat and not sure how long I can keep it up. Also today, I’m feeling extremely sluggish and bloated. I want to put this down to the addition of high fat into my diet, which usually doesn’t vary much, but as yet, I’m not really sure if this is the reason. Time will tell, I suppose. 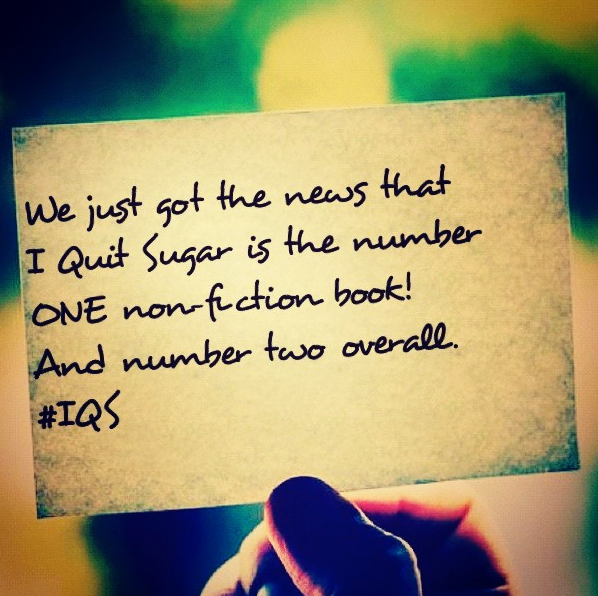 Sarah posted this on the I Quit Sugar Facebook page. Fantastic news for Sarah and her hard working team. And well deserved. Looks like there are probably many many people out there trying to quit sugar. Wishing them all good luck, and hoping they enjoy this adventure. At the moment it’s a love/hate relationship for me. Just taking it one day at a time, trusting Sarah and doing as she says.